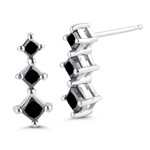 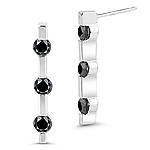 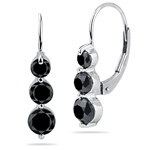 Black Diamond Three Stone Earrings provides with an enticing array of earrings that displays an aesthetic appeal. 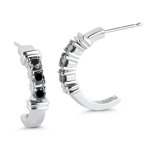 Fashioned with a blend of different cuts of diamond embellished on yellow, white, platinum and silver metal gives a chic and unique look. 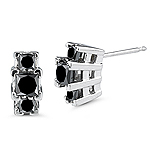 These perfect and excellent finish accessories add grace to any unforgettable occasion. 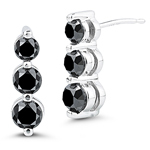 Black Diamond is put in different tests to get the beautiful gleaming black color. 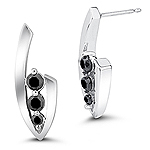 It is also given a laser drilled occasionally to improve the appearance. 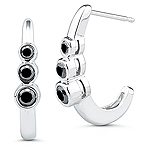 It is then put through irradiation or treated with heat to induce to the surface.